I have been beyond excited to see the latest issue of Pattern magazine. 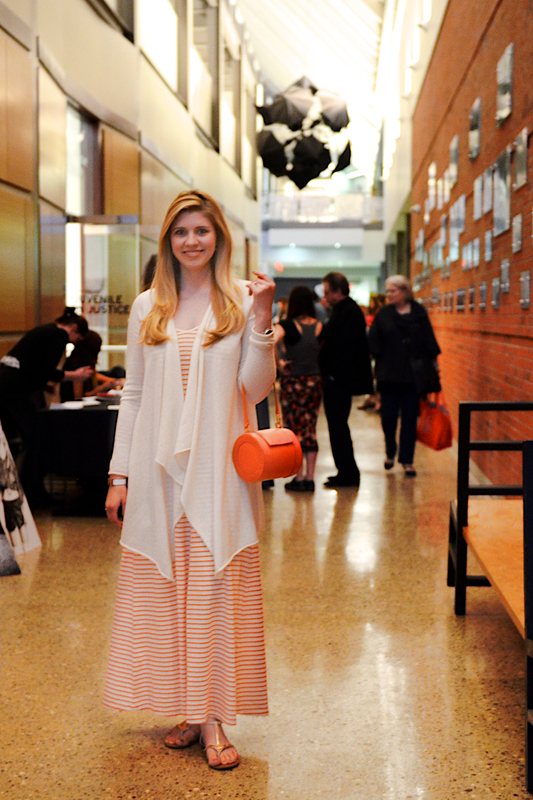 This past Friday evening I headed to the Herron School of Art for the Pattern Vol. 5 Launch Party! I think I say this every time I’m handed a new Pattern, but this might be the best issue yet. I truly loved the focus on “Design” and it’s impact on our creativity and drive. This was a great new way to position the magazine so that it’s always growing and ever evolving. Naturally I loved the entire issue and all the fashion spreads! One aspect that I really enjoyed was all of the downtown Indianapolis Illustrations. I loved how creative an fresh they were! Calypso St. Barth Cashmere Sweater from 14 Districts: 110 W.Main Street, Carmel. Bravo Pattern Indy on another fantastic issue. Visit http://www.patternindy.com to subscribe or purchased the latest issue of Pattern Vol. 5. The best issue yet!